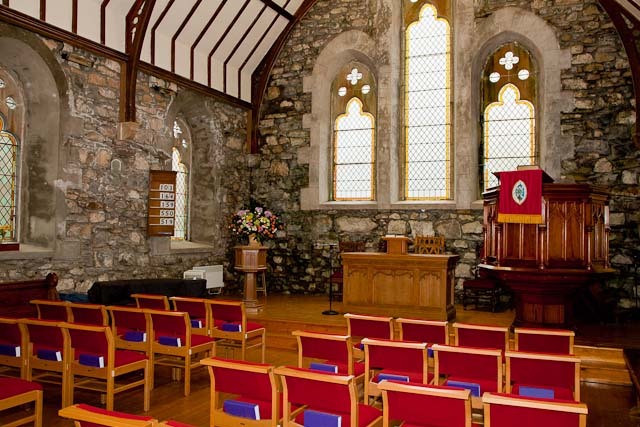 There is a long history of Christian worship in the area around the community of Salen. This is a rural area, with a thriving village. 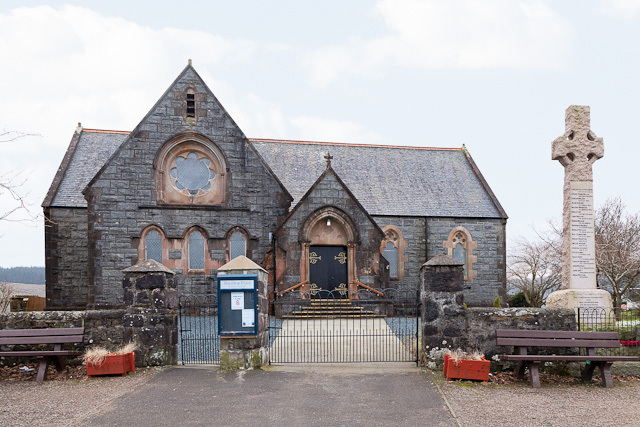 There are 2 schools, one in Salen which has a Scripture Union after school club every week, and one at Ulva. The present Church was opened on July 9th.1899, and has been in continuous use since. It is situated prominently, in the village, on the main road from Craignure to Tobermory. There have been various changes in the layout of the Church since it was completed, allowing great flexibility of use within the community. 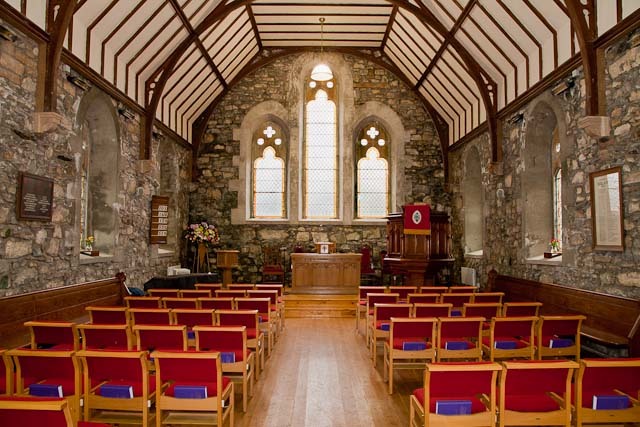 In 1990 the congregation made the decision to change the Church into a multi purpose hall, due to financial constraints the old kitchen, guild room and toilet facilities were retained. Finally in 2009 an extension was opened giving, a Minister’s vestry, 2 meeting rooms and modern kitchen and toilet facilities. As well as holding weekly services, the facilities are used by many community groups. Once access has been gained to the grounds, the complex is accessible to the disabled. In 1929 the parishes of Salen and Ulva were united. 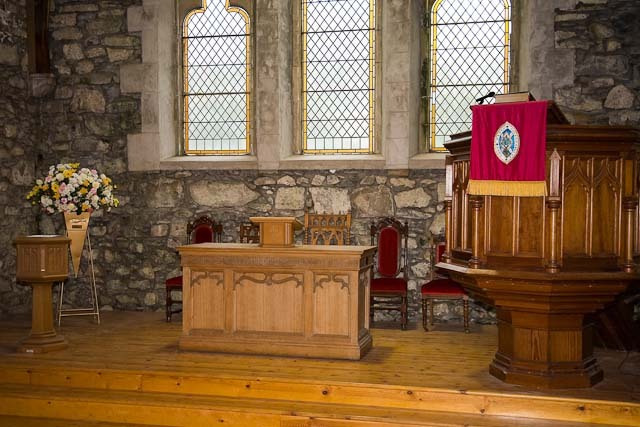 The Church on Ulva is a Telford Church, and is still used for Easter and Harvest services, each year. Both services being held in the afternoon. Services are held at 10.15 on a Sunday morning in Salen, with some time changes for special occasions. (please check the diary page). Sunday school meets at each service during the school term, and a youth club meets regularly. Most Tuesday mornings the Centre is open for coffee from 10.30m till 12 noon. Weddings, Baptisms and Funerals are by arrangement.